Weddings are a specialty of ours. 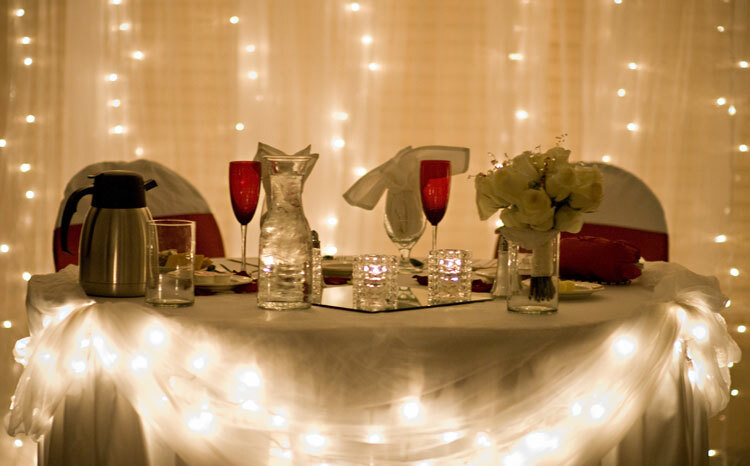 Our Catering & Banquet staff are experts in wedding and event planning. Crystal Lake Golf is your “one stop shop” for your every need. 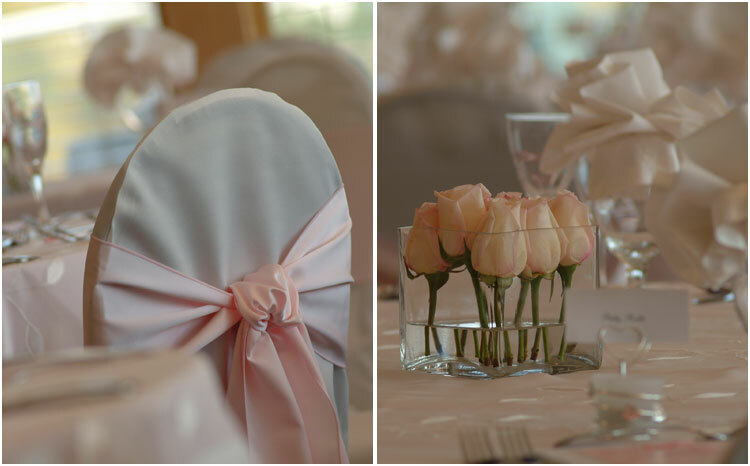 We are able to provide virtually all of your decoration needs from specialty linens to center pieces for your event. Through our relationships with many top quality vendors, we can help you take care of everything from Cake to Entertainment to Hotels. 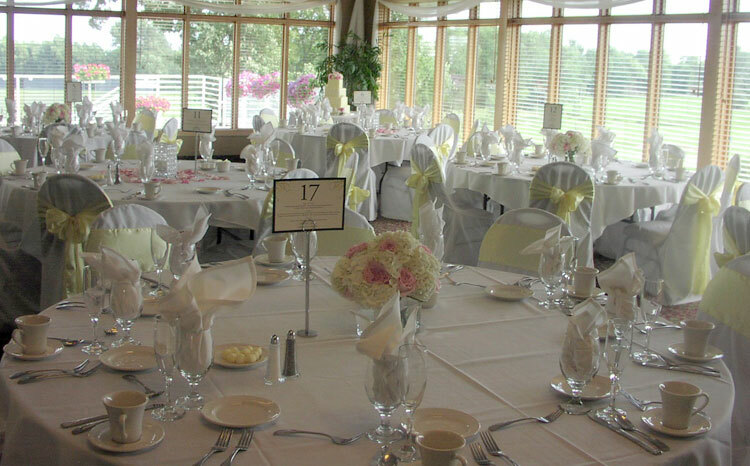 In addition to reception & catering services Crystal Lake Golf can host your wedding Ceremony. 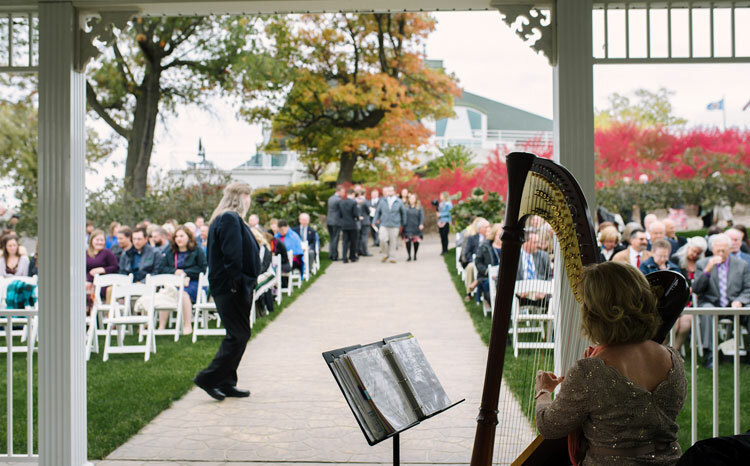 At Crystal Lake Golf let nature be the back drop for your big day with an outdoor wedding ceremony in our beautiful NEW Wedding Gazebo nestled among trees and shrubs on the course providing you with your own “secret garden” for your I Do’s. Or have a cozy indoor ceremony in our spacious banquet room. This private banquet room is an ideal venue for wedding receptions. With two walls of large, picturesque windows the room offers beautiful views of the 16th & 18th greens, no matter what the season. Your guests can also enjoy the floral landscaped patio or cozy up by the fireplace in our spacious foyer.